I love to travel. As I write this, I’m sitting on a plane on my way to Boston. Whether it’s to a new city or different country, I love the experience of visiting a different place. There is so much to absorb when you go somewhere new; food, fashion, language, culture, art, music, architecture, and scenery, just to name a few. I’ve traveled far distances (Australia, New Zealand, Nepal), for long amounts of time (6 months in England) and on many different forms of transportation (planes, trains, buses, boats, cars). While there are inherent challenges to any type of traveling, traveling with diabetes does present some additional obstacles. The first is packing. Between my meters, insulin pump, and CGM, I need to travel with a lot of supplies. I always take more than I think I need. For instance, if I will need to change my infusion set twice while I’m gone, I’ll bring at least 2 extra sets with me, if not more. You never know if there will be something wrong with the supplies so it’s always better to have extra. I also always bring extra test strips, batteries, syringes, tape, insulin, and of course fruit snacks. I try to fit most of my supplies in my carry on bag, and not a checked bag. If I can’t fit it all, I at least have enough to last a week. I’ve had luggage get lost and not be returned for days, if I didn’t have my supplies with me, I don’t know what I would have done. Most of the time I don’t have any trouble going through airport security. I usually disconnect my pump and keep it in the bin when I go through, but I’ve also left it attached and just explained what it was and that it was connected to me, and everything was fine. The only time I was ever questioned was when I was flying to Nepal. I had to explain why I had syringes in my bag. Once I explained that it was for my diabetes, there wasn’t any problem. 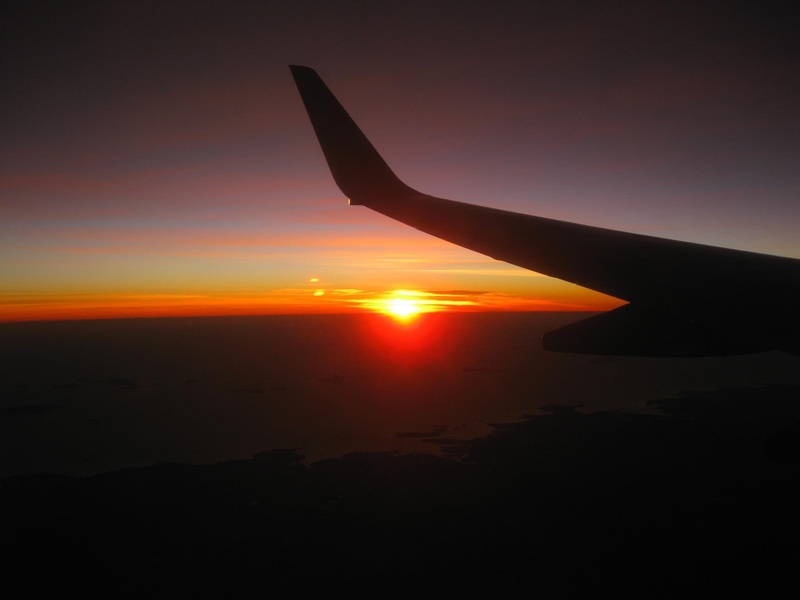 The last part about traveling is one that I often forget about, changes in time zones. For places where the time difference is 3, 6, 12, or even 14 hours, it’s very important to change the time on my meters and pump. Since I get different amounts of insulin throughout the day and have different carb ratios, left unchanged, things can get very off schedule and mess with my blood sugar levels. I made the mistake of not changing the time on my meter while I was on vacation in Australia and New Zealand. It wasn’t until I had my appointment with my endocrinologist when I got back a week later that I realized that all my readings would be useless since it was completely off schedule. What was a reading taken at 2 in the afternoon showed up as 4 am. It was hard to make any adjustments when everything was so off. Traveling can be stressful, exhausting, frustrating and overwhelming. That alone is enough to disrupt my blood sugar levels. Even with as much traveling as I’ve done, I still get anxious from time to time with figuring out logistics. One thing that I think every traveler learns is to be flexible. Things happen unexpectedly when you travel, there are delays, cancellations, miscommunication, wrong directions, etc. I’ve learned to become flexible with my diabetes as well, sometimes having to change my infusion set in bathroom stalls or treating a low while rushing through a busy terminal. When you need your supplies to survive, you learn to make them a priority. They are at the top of every packing list, first into any bag, and always on my mind. Whether I am leaving my house, hotel, or walking through airport security, I always do that awkward pat down, except I’m not checking for my wallet or phone, I’m making sure I have my insulin pump and meters. I don’t have the option to leave my diabetes at home, but I refuse to stay home with it. I’m going places, and you better believe that it’s coming along for the ride!